Valley Electric Association, Inc. announced Friday that they’re extending the voting deadline for its proposed transmission line sale. VEA said as of that afternoon, more than 11,500 votes have been cast by member-owners on whether or not to sell its 230-kilovolt transmission system. Around 94 percent of members who voted in the special election, which began Sept. 14, were for the sale of the transmission system. VEA said 10,800 members voted “yes” as of noon Friday, which represents about 62 percent of the membership. Approval to sell a major asset requires a two-thirds affirmative vote of the entire membership or 66.6 percent. VEA said it is approximately 750 more “yes” votes. As a result of not achieving that two-thirds threshold, a decision to extend the deadline four more weeks came down at a membership meeting Friday. Those who were present at the meeting voted to extend the period to allow more members to vote. Per the bylaws and Nevada state law, Friday’s action would keep voting open for the extra 31 days. In September, VEA’s Board of Directors approved the sale of VEA’s 230-kV high-voltage transmission system to Chicago-based GridLiance. 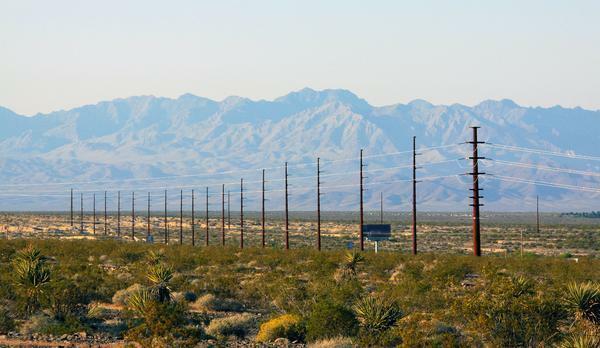 The sale would include 164 miles of high-voltage transmission lines it owns throughout Southern Nevada for an estimated $190 million. The transaction would net the cooperative almost 2.4 times the initial $82 million it invested to construct the transmission lines. The proceeds would be distributed and invested in many ways, including the $82 million debt VEA took on to build the transmission system being retired and $10 million being set aside to distribute to active members who paid into the ownership of the lines between 1995 and 2016. Other uses include putting $7.2 million toward retirement of capital credits, retirement of patronage capital, paying down additional debt and being used in future capital expenditures. The sale would also allow the cooperative to roll back a 9.9 percent rate increase enacted in July 2016 and stabilize the rate to where another rate adjustment wouldn’t be made for at least 10 years. The $10 million set aside for distribution to VEA member-owners will be given out in a one-time cash payment of $579 through the retirement of capital credits, which would be the largest in VEA history. VEA’s board of directors have heard from thousands of members during the past 45 days through face-to-face meetings, phone calls, letters, emails, and through social media. Despite the multiple ways to cast their votes, VEA said through those interactions they learned that members expressed concern with being unable to cast their votes due to loss of ballots, lack of familiarity with computerized voting, inconvenience and the lack of time to consider the magnitude of the issue. Due to those issues and the two-thirds threshold needed to approve the sale falling just short, VEA decided upon extending the voting period. Those members who have yet to cast their vote can do so by going online to www.vea.coop, in person at Valley Electric Association, by phone at 775-727-5312 or by mail. Also at Friday’s meeting, three members’ names were drawn for prizes totaling $5,000. The prizes ranged from $2,500, $1,500 and $1,000. A similar drawing will be held at the Nov. 14 meeting at the Valley Conference Center. All members who voted in the election were eligible for Friday’s drawing. All members who voted (except Friday’s winners) will be eligible for the Nov. 14 drawing.